Pink and Chocolate Brown Polka Dots cover this bow. 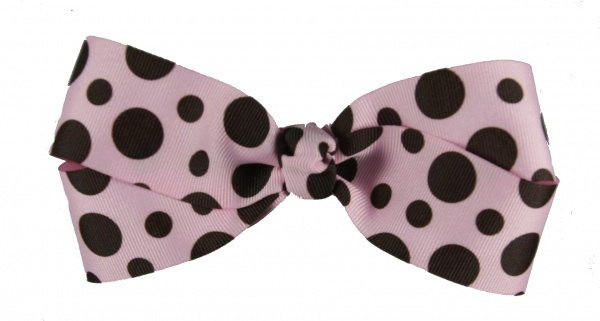 This is a 1.5 inch grosgrain ribbon that is wrapped in a boutique style without tails which makes the two loops longer. The center is wrapped in the same ribbon in a French knot and is attached to a French clip. These colors are a big hit and sure to match any outfit.